Are novelty motorcycle helmets safe versus DOT-certified helmets? All helmets are not equal – if you’re a motorcyclist, the helmet you choose can be key in keeping your head protected. While novelty motorcycle helmets may look attractive, they do not meet federal Department of Transportation (DOT) safety standards. What is a novelty helmet? A novelty motorcycle helmet is manufactured without meeting DOT safety regulations. DOT helmets meet FMVSS (Federal Motor Vehicle Safety Standards) number 218. Novelty helmets may have a thin padding and may be relatively lightweight. DOT helmets are usually heavier and have more padding than do novelty helmets. In fact, a rider who is wearing a novelty helmet at the time of a crash and head impact has a 100 percent probability of brain injuries and/or skull fracture, per the NHTSA’s computer simulations. Essentially, wearing a novelty helmet at the time of crash, rather than a DOT-certified helmet, greatly increases a motorcyclist’s chance of sustaining a traumatic brain injury (TBI). How do I find a safe motorcycle helmet? Choosing style over safety can lead to catastrophic and fatal injuries. The NHTSA recommends that all motorcyclists, in order to identify a safe helmet, check for thick inner lining, sturdy chin straps and rivets, helmet weight, design of helmet, and the DOT-certified sticker. If a DOT sticker is not visible on a helmet, do not wear it while riding, as there is a strong possibility that the helmet will not adequately protect your head in the event of a crash. If you currently have a novelty helmet and are using it for head protection while riding, take action now to replace the novelty helmet with a DOT-certified one. Doing so may save your life. In the event that you are in an accident and do sustain injuries, there are options for recovering money for your injuries, either through an insurance company or through a personal injury lawsuit. At Walker, Billingsley & Bair, our attorneys can help explain the advantages of filing a claim through each avenue. You can reach us now for answers to your legal questions at 888-435-9886. What areas are motorcycle blind spots all Des Moines drivers should know? Motorcycle blind spot areas all Des Moines drivers should know include the rear left and rear right of the motorcycle. Most people are aware of blind spots on cars and large trucks, and know to stay clear of them. But motorcycles, despite their small size, have a number of blind spots too. If you’re a motorcyclist or drive a passenger car in Des Moines, here’s some information about motorcycle blind spots you should know. Motorcyclists are lucky in that there aren’t a lot of obstructions to vision on a motorcycle. However, directly behind and to the right or the left are two blind spots that motorcyclists should be familiar with. While checking mirrors is a must, motorcyclists should also do a head check where they turn their head to make sure the blind spot is clear. By checking blind spots in this manner before changing lanes, you may be able to avoid driving into a lane that has an oncoming motorist. Also remember to stay out of passenger car blind spots (similar to motorcycle blind spots) and truck blind spots (in front, directly behind, and to the left and right of the truck). For regular motorists, remembering that motorcyclists have blind spots too and keeping a safe distance can help keep both you and the motorcyclist stay safe. If are in a car accident in Des Moines, you have a few options for financial recovery. If the accident was your fault, you can file a claim with your own insurance company if you have the appropriate coverage. Or, if the accident was the fault of another driver, you can file a claim with that driver's insurance company or file a lawsuit; you may also file a claim with your own insurer if you have the right coverage. Following an accident in Des Moines, the guidance of an attorney can be critical, especially if you’re not sure whether you should file a claim with the insurance company or file a lawsuit against the driver. In Iowa, you only have two years to file a claim for damages, so it’s important that you act quickly. At Walker, Billingsley & Bair, our personal injury attorneys can help you now. To get started, call us today at 888-435-9886 or contact us online. Can I file a motorcycle accident claim if I did not have a valid motorcycle license? If you were involved in a motorcycle accident in Des Moines and did not have a valid motorcycle license at the time, you may still file a motorcycle accident claim against the other driver. Not having a valid motorcycle license doesn’t necessarily have anything to do with fault in an accident and does not preclude you from filing a claim if the other driver caused the wreck. While you might face penalties for operating a motorcycle without a license, filing a motorcycle accident claim should follow the same procedure as filing any other accident liability claim. How do I establish that I’m not at fault? Thankfully, Iowa is a modified comparative fault state. According to Iowa’s modified comparative fault law, each driver involved in an accident may recover damages unless he or she is more than 51 percent responsible for the accident. So even if you were unlicensed, if your motorcycle accident claim establishes the other driver was mostly responsible for the accident, you can recover damages. gotten the name of the driver’s insurance company. All of these items will come in handy when you file a claim against the other driver. Afterward, the first thing you must do when you are involved in a motorcycle accident is fill out an Iowa Accident Report if the accident resulted in death, personal injury, or total property damages of at least $1,500. If law enforcement investigated the accident, the report is not required. If you’re filling out the report, return it via mail to the Iowa Department of Transportation in Des Moines. Be sure to return the report within 72 hours. Once you have filled out an Iowa Accident Report and mailed the report to the Iowa Department of Transportation, you should file an accident claim. To file the claim, contact the other driver’s insurance company and report the accident. You may then present the evidence mentioned above to establish that the other driver is to blame for the accident. Will the insurance company blame me for the accident if I’m unlicensed? However, like filing any type of claim, filing a motorcycle accident claim can be a tedious task whether or not you had a valid license at the time of the accident. The insurer may try to argue that you were at fault for the accident and may attempt to convince you that not having a valid motorcycle license is indicative of your fault. Thus, you must present convincing evidence that you are less than 51 percent at fault and that the other driver is actually to blame. An attorney at Walker, Billingsley and Bair can provide you with legal counsel about filing a claim against the other driver involved in your motorcycle accident and can help you deal with insurance adjusters. Call us at 888-435-9886 to set up a consultation. Types of special motorcycle insurance coverage in Iowa? Iowa's financial responsibility requirement applies to motorcycles as well as motorists. The minimum requirements are $25,000 bodily injury liability insurance per person, $40,000 bodily injury liability per accident, and $15,000 property damage liability. Liability insurance covers damages that other motorists suffer for an accident the policyholder caused. Under the law, if a driver is in an accident or stopped by a police officer, they need to show proof of meeting the financial responsibility requirement, or the state may revoke the motorcyclist’s license. Also note that the auto insurance purchased for a car does not apply to a motorcycle. Each vehicle must have its own insurance. 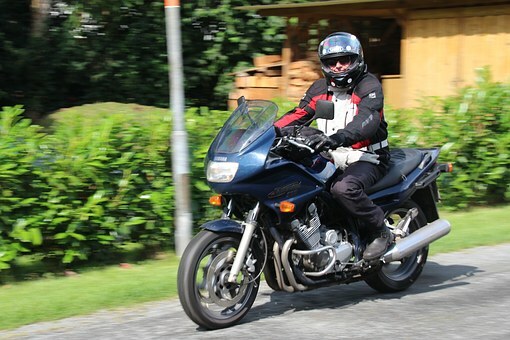 What insurance coverage can motorcyclists purchase? While required to carry liability insurance, there are other insurance policies motorcyclists may carry to protect themselves in the event of an accident. Check with the insurer if it offers a particular type of coverage for motorcycles. Collision: This insurance covers damages for the policyholder in accidents with vehicles, objects or for rollovers/falls. Regardless of fault, policyholders will have money to repair or replace the bike after the accident. Comprehensive: Comprehensive covers damage from fire, weather events, vandalism, floods, theft and animal damage to the bike. Medical expense: This covers medical expenses for the policyholder regardless of fault in the accident, up to the policy limits. Uninsured/underinsured motorists insurance (UM/UIM): This insurance covers you in the event you're in an accident with someone without insurance, if you exceed the at-fault driver's liability limits, or if the at-fault driver flees the scene. Some motorcyclists customize their bikes, so they may wish to purchase additional coverage for these accessories. Accessory or optional equipment coverage is for modifications and enhancements to the appearance or performance of a motorcycle. In the event of an accident, the coverage will allow the policyholder to recover the expenses he or she incurred customizing the bike. How do I file a motorcycle insurance claim? Let your insurance company know about the accident. Tell them who was involved and the basics of what happened. If another motorist is at fault and you’ll be filing a liability claim with his or her liability coverage, let that motorist’s insurance company know about the accident too. If you’re unable to recover fair compensation from the other driver’s insurance, you may have to file a lawsuit. Keep in mind you may be able to recover damages via your own insurance policy, provided you have applicable coverage like collision coverage or medical expense coverage. If you have more questions about motorcycle accident insurance claims and lawsuits, read Walker, Billingsley & Bair's guide to motorcycle accidents. We have years of experience dealing with these cases and can answer your questions and provide legal representation. If I was not wearing a helmet and suffered severe head injuries in a motorcycle accident, can I still file a claim? While many motorcyclists in Des Moines like to ride without a helmet – which is their legal right – it can contribute to devastating injuries in the event of an accident. According to a 2012 factsheet provided by the Governor’s Traffic Safety Bureau, over the past five years, 83 percent of all individuals killed while riding motorcycles in the state were not wearing helmets. For those who survive a motorcycle crash in Iowa while not wearing helmets, there may be large monetary costs associated with the physical rehabilitation and medical treatments for head and spine injuries. In that case, the injured should speak with an attorney who is familiar with how helmet laws and helmet use might affect a claim for compensation. Iowa does not have any law in place that requires motorcyclists to ride with helmets. Although this has led to debates over whether or not more lives could be saved if a law was in place, it does mean that riders who were not wearing a helmet at the time of an accident were not breaking the law. That said, because of the comparative negligence laws in the state, failure to use a motorcycle helmet may affect an injured biker's recovery of damages in some cases. The state also uses a system of comparative negligence when examining liability in a car accident. This ultimately means that a party injured in a motorcycle or car accident may be awarded a percentage of damages minus the share of the blame they are assessed. If the rider is more than 50 percent at fault for an accident and injuries, however, the injured rider will not be eligible to recover any compensation at all. In the case of a motorcycle accident claim, if the injured party suffered head and/or spine injuries in a wreck but was not wearing a helmet at the time, the rider may be deemed partially at fault for neglecting to wear a helmet to protect his or her head and neck. Thus, the injured motorcyclist may not recover the full amount of damages. Of course, if the rider broke his or her leg and suffered no head injuries, then helmet use would not be a factor in the case and would not affect recovery of damages. Because the laws regarding motorcycle helmets and fault in motorcycle accidents can be difficult to navigate, it is important to speak to an accident attorney if you have suffered head injuries and were not wearing a motorcycle helmet. The attorneys at Walker, Billingsley & Bair can help you understand the laws that pertain to your case and compile the evidence you need for your accident claim. Feel free to contact us today at 888-435-9886 to set up an initial consultation. You also can contact us online. Are there age restrictions for operating a motorcycle in Iowa? The legal age to operate a motorcycle in Iowa is 14, though these riders face certain restrictions. Riders 14 to 17 must obtain a motorcycle instruction permit; operators with only a permit face restrictions regarding with whom they may drive. Riders may obtain an intermediate motorcycle license at 16, but still face restrictions. Riders may obtain a full license at 17 provided they meet other requirements. Further, riders under 18 years old must take a rider's education course before they can legally operate a motorcycle. Riders who obtain a motorcycle instruction permit and are between 14 and 17 years old can drive with a licensed parent or guardian, provided the parent or guardian has a motorcycle endorsement. Juvenile motorcyclists may also operate the bike with an immediate family member licensed with endorsement who is 21 years old or over. Riders need a parent’s permission to operate a bike with another licensed adult with motorcycle endorsement and the adult must be at least 25 years old. The requirements are the same for permit holders who are 18, but they do not require parental permission to ride with a non-family member who is 25 years or older and holds a license and motorcycle endorsement. Further, Iowa’s motorcycle law states, “the accompanying person must be within audible and visual communications distance from the permittee and be accompanying the permittee on or in a different motor vehicle." The accompanying person must supervise only one permittee at a time. Individuals who have a motorcycle instruction permit for six months may, with parental permission, obtain an intermediate motorcycle license. The individual must have at least 20 hours of street and highway driving, of which two hours must have occurred after sunset or before sunrise. Intermediate license holders may not operate a motorcycle between 12:30 a.m. and 5 a.m. without accompaniment by an individual that meets the criteria mentioned above under the ‘Motorcycle Instruction Permits’ section. They may operate the motorcycle between these hours if they are riding to or from a school-related extracurricular activity. Riders who are 17 and older may obtain a full motorcycle driver’s license if they had an intermediate license for at least a year. They must have completed at least 10 hours of street or highway driving, two hours of which occurred after sunset or before sunrise. The motorcycle safety courses that young riders must take before they receive their instruction permit include 15 hours of training: five hours of in-class instruction and 10 hours of range activities. The classes are Motorcycle Safety Foundation-approved and held at certified facilities across the state. What if a motorcyclist is not licensed and is in an accident? Operators who do not possess the proper license or who violate the requirements for the license or permit may face legal consequences, not to mention civil consequences if they cause an accident. Failing to possess the proper license or violating the terms of the license may contribute to the rider’s comparative negligence in the event of a motorcycle accident. Talk to an attorney at Walker, Billingsley & Bair in Des Moines by setting up an appointment for a consultation. Call 888-435-9886. How does motorcycle insurance help injured riders in Iowa? Motorcyclists are also required to meet this minimum liability coverage. In the event of an accident that another motorist caused, injured bikers may pursue a claim against that motorist’s liability coverage. Meeting the minimum required amounts is certainly helpful in the event a motorcyclist is at fault for an accident. For even better financial protection in the event the rider causes an accident and is liable for damages, many choose higher amounts of coverage. Of course, in the event another driver is liable for the accident, riders cannot recover from their own liability coverage. Instead, they’d rely on filing a claim against the other driver. But remember that even though insurance is required, not all drivers will carry it or their coverage may not be enough to pay for all damages. So some motorcyclists may instead rely on other coverage on their policy to provide them compensation for damages. One option is to purchase medical payments coverage. This type of coverage is no-fault, which means that no matter who was responsible for the accident, it will provide coverage of medical costs. A benefit to medical payments is that if the insurance companies are taking a long time to assign blame in the accident or negotiations for a settlement have stalled, much of the medical bills can be taken care of right away. Another type of coverage that might help motorcyclists in the event of an accident is uninsured and underinsured motorist coverage. There’s no guarantee that the at-fault driver has insurance or his/her coverage is enough. That’s where this insurance kicks in. It could pay for medical bills, lost earnings and other accident-related expenses. Having enough coverage is critical for motorcyclists. Especially since these types of accidents are oftentimes catastrophic or the injuries require months of recovery. For some, a collision could result in permanent disability. Let’s say a motorcyclist was struck by a drunk driver on Interstate 235 in Des Moines and sustained significant head trauma, multiple fractures and injuries to the neck and back. The at-fault motorist has the minimum amount of insurance required ($20,000) but the bills exceed this. The rider’s underinsured motorist coverage could cover anything beyond the $20,000, up to the limits of his policy. And there is always the risk that a motorcyclist is seriously injured in a hit and run. When a driver flees the scene of the accident, having uninsured motorist coverage can help pay for damages until (and if) the person is caught. Talk to your insurance agent if you’re purchasing motorcycle insurance, and talk to an attorney if you’re having trouble recovering compensation from your or the at-fault driver’s insurer after a serious accident. Walker, Billingsley & Bair helps Des Moines riders injured in an accident, so contact us online or call today: (888) 435-9886.